BMW ICOM BMW ICOM Next vs BMW ICOM A2 ,which better ? 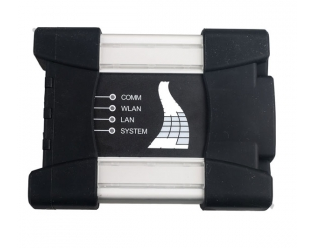 BMW ICOM Next A+B+C and ICOM A2 are two popular Diagnostic and Programming Tool for BMW,MINI,Rolls-Royce BMW-Models.Then Buy BMW ICOM Next or buy BMW ICOM A,which one better ? Today, BUYOBDII.com blog will share a comparison between BMW ICOM Next and BMW ICOM A2 +B+C to help customers better pick up right tools. BMW ICOM A2 Supports BMW and MINI vehicles from old to latest 2015 and currently,BMW ICOM A2 is the best BMW ICOM. 3.work with same software ISTA-D ISTA-P for the same BMW Vehicles. 4.great performance and affordable price. As we have seen above, the ICOM Next with new look,it is with black and white color. 2.Hardware and function : These two BMW tools shared same software,yet,different firmware adaption. BMW ICOM Next A with better PCB board. 3.BMW ICOM NEXT A +B + C is the improved version of BMW ICOM A2,Functionally compatible to ICOM A2,but with more stable during programming and faster start-up times and high throughput. 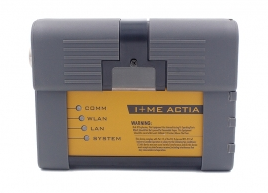 4.Connection methods : BMW ICOM NEXT Diagnostic interface cant support wireless,it is only USB connection way,while the ICOM A2 supports wifi,the package contains a wifi adapter. 5. ICOM A2 With HDD,yet,the BMW ICOM Next didnt come with. So, for BMW ICOM Users,you need to install software separatly. So,if you are looking for a BMW ICOM with WIFI connection and HDD with installed software,then buy BMW ICOM A2 will be your choice, it is the best ICOM with WIFI function. Otherwise,i will recommend you buy BMW ICOM Next, after all,it is the newest geneartion with all features of ICOM A2,yet,at the same time,it made some improvments and will give you a better experience and the price is cheap affordable too. bmw icom a2 new generation, BMW ICOM new generation, bmw icom next, BMW ICOM NEXT A+B+C, icom a2 new generation, New BMW ICOM A2. Bookmark.